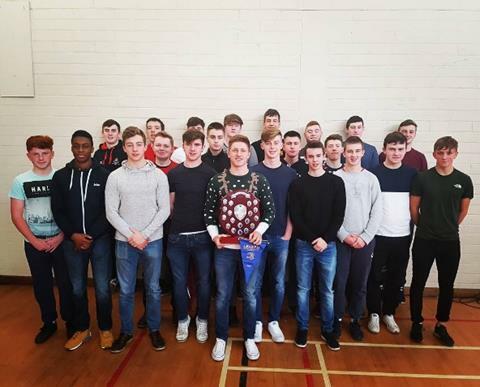 On Tuesday 10 January The High School Junior Cup Team defeated Wilson’s Hospital School 15-7 at Barnhall Rugby Football Club, Co Kildare in the first round of the Father Godfrey Cup. The game got off to a tentative start with momentum swinging to Wilson’s Hospital who bombarded the dogged High School defence with thunderous carries. 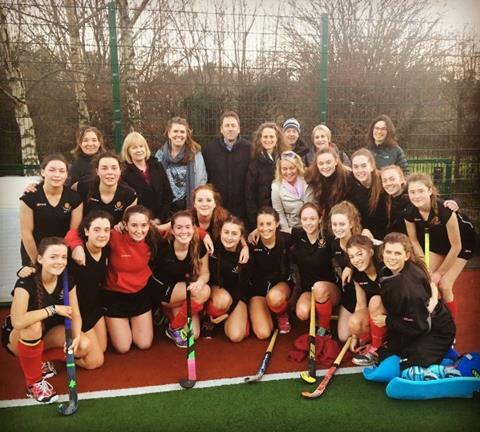 After an attacking onslaught Wilson's made use of their numerical advantage and eventually breached The High School defence bringing the score to 7-0 in their favour. With the return of Dennis Chan, The High School gained a second wind and began to make inroads into Wilson’s territory. Despite this, The High School failed to convert their dominance into points and left the field disappointed yet hopeful at half time. Early in the second half, following some marauding carries from centre Adam Killeen, The High School broke the deadlock with a series of muscular 'pick and go' moves from the pack. The High School team, uplifted by the try and the cheers of the rapturous crowd who had travelled in record numbers, attacked with ferocity at a wilting Wilson’s. With 10 minutes to go the ball fell to The High School full back Morgan Pembroke; spotting a gap in the defensive line he tore down the flank with blistering pace before dotting down in the corner. This brought the score to 10-7. 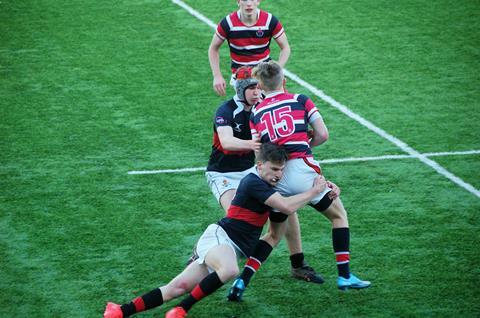 In the dying moments The High School second row Dan Walsh intercepted a loose pass. Racing down the pitch, he offloaded to winger Ben Hopkins for an easy finish, sealing victory for the boys in red and black. 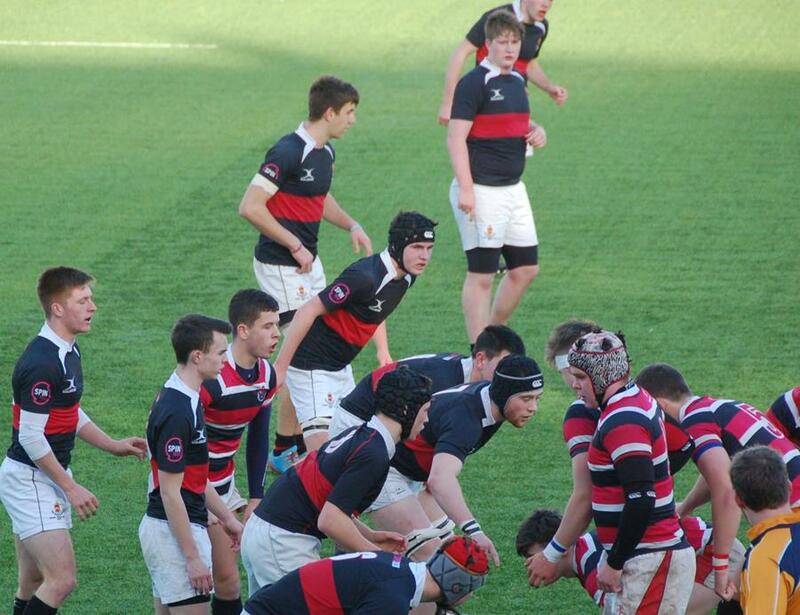 The High School face CUS in the next round on Tuesday 17 January at Donnybrook Stadium; the game kicks off at 4.00 pm. We are so proud of our Senior Cup Team who were undefeated in their South Africa tour last summer and throughout the league campaign. Unfortunately, they did not get the result they were hoping for in their first round game in the Vinnie Murray Cup against Wesley College. Despite a valiant effort to the very last moment the final score was 15-0 to the opposition. 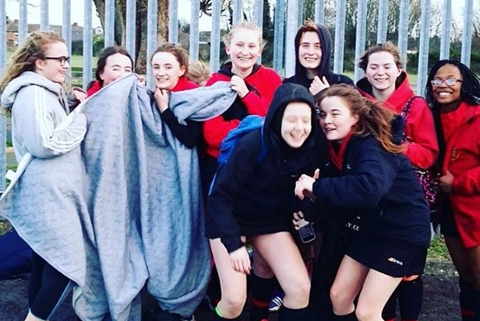 Since winning the U13 Leinster Schools League competition in Form 1 this group of High School pupils have been impressive in their dedication and commitment to the sport. We have had some very memorable games this year and we look forward to the matches that lie ahead as they compete for the plate. 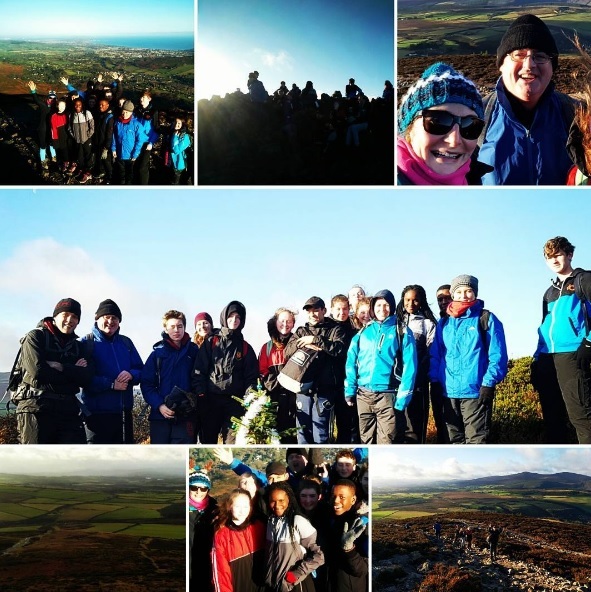 On 21 December 2016 Form 4 pupils completed the Helen Kane Memorial Christmas Charity Challenge for two different but worthwhile causes. 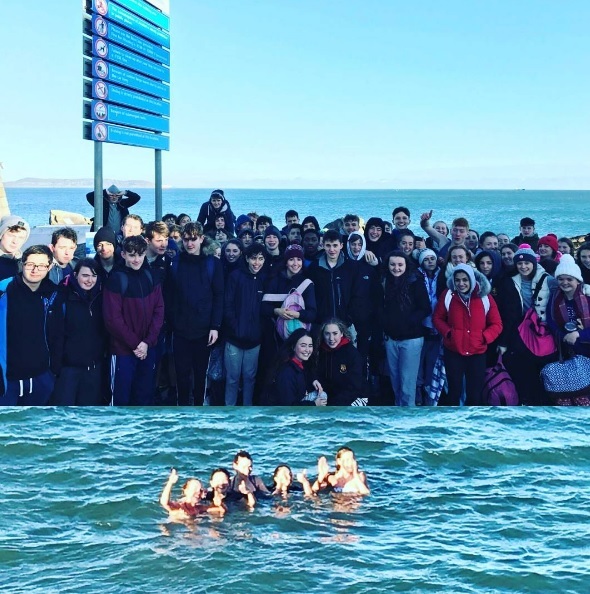 The options were either the Forty Foot Swim in aid of St Luke's Hospital or the Sugar Loaf Hike in aid of Barnardos Children's Charity. We left the school early in the morning wrapped in many layers of clothing for the task ahead. We arrived back at The High School cold and windswept, but happy knowing that we had done something good to help those who need it. 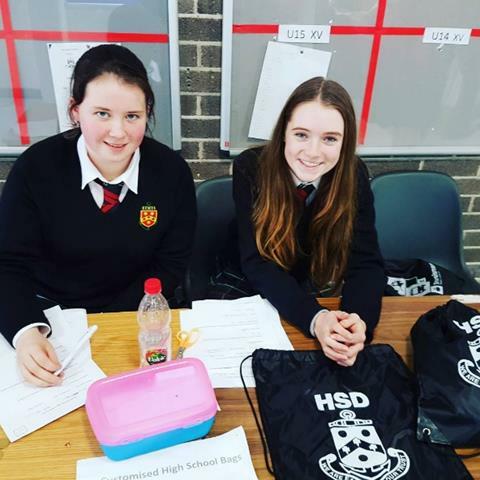 The Transition Year enterprise class are still selling their fetching, black and white HSD drawstring bags. 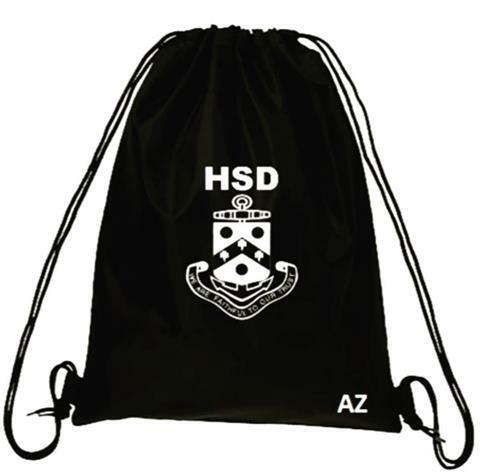 The bags are only €3 each with an additional 50 cent cost for personalised initials and numbers. Bags that were pre-ordered in December can be paid for and collected now outside The Reynolds Hall at junior and senior lunch breaks. You cannot receive the bag until you have paid in full. All proceeds from the enterprise are going to charity. Bags are selling out quickly so make sure to place your order soon. 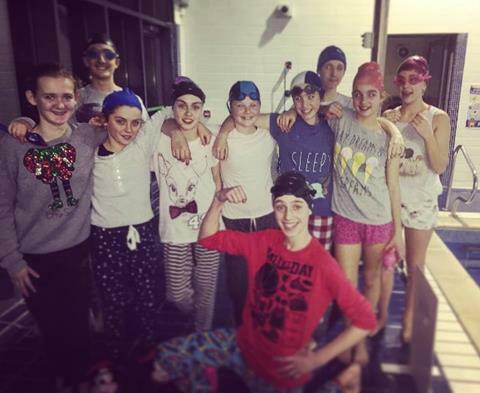 The High School swimming club had a fun, festive pyjama swim at the end of last term. They meet each Tuesday at 6.00 pm at Terenure Swimming Pool and new members are always welcome. What a healthy way to start the New Year! 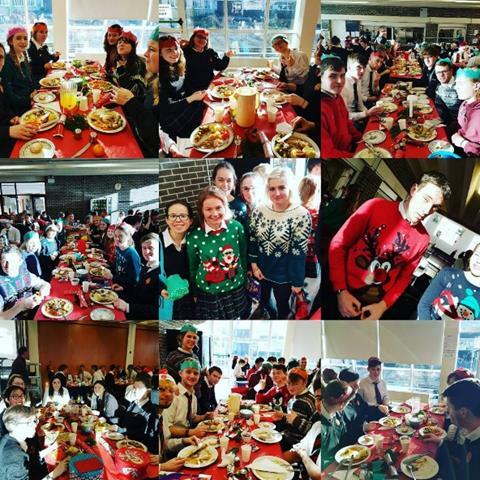 Form 6 pupils enjoyed a delicious charity Christmas lunch at the end of last month with their form teachers and peers. Of course, seasonal jumpers brought a touch of colour to the festivities. What a lovely way to mark their last Christmas together at The High School! 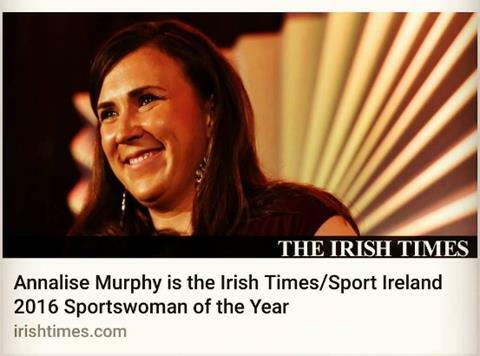 Congratulations to Olympian past pupil Annalise Murphy (HSD, 2002-08) who was voted the Irish Times 2016 Sportswoman of the Year. We are incredibly proud of Annalise's continued achievement. Congratulations to Roseanne McCullough on her bronze medal win in the All Ireland Cross Country Uneven Ages competition and on being selected to run for Ireland at the Celtic International Cross Country event this weekend. The best of luck Roseanne!